I hate to say it, but it's starting to get a little chilly around the edges of the days now. Really I don't mind one bit, because I'm a layers-girl. Layers give so much additional visual interest to an outfit, especially the opportunity for a texture switch, which I love. This green shortie trench coat (trench. coat. green. short. just making sure you got that) has been in my closet for awhile, but I wasn't sure how to wear it. The cut is odd with jeans and a top and it's a heavy piece that can overwhelm other floaty dresses. Luckily, this thick textured dress from Tibi was the perfect foil. 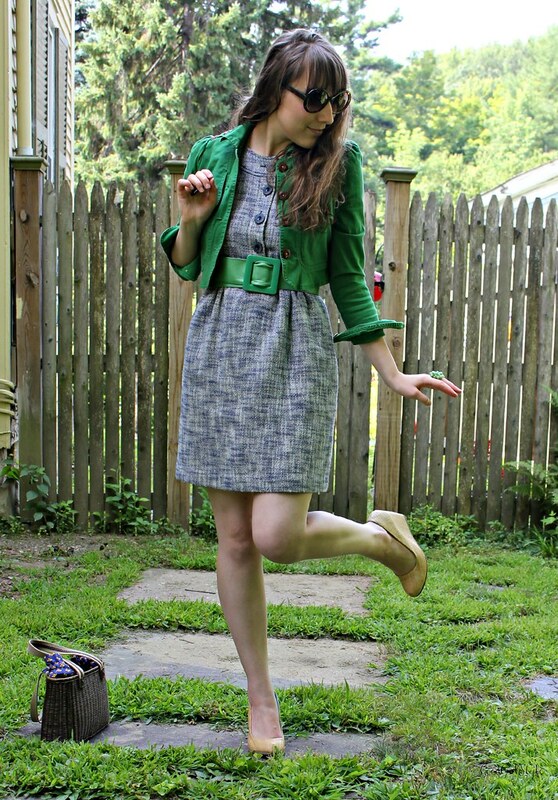 The cinched waist (isn't this such a fun vintage belt?) creates just the right resting spot for the short jacket. 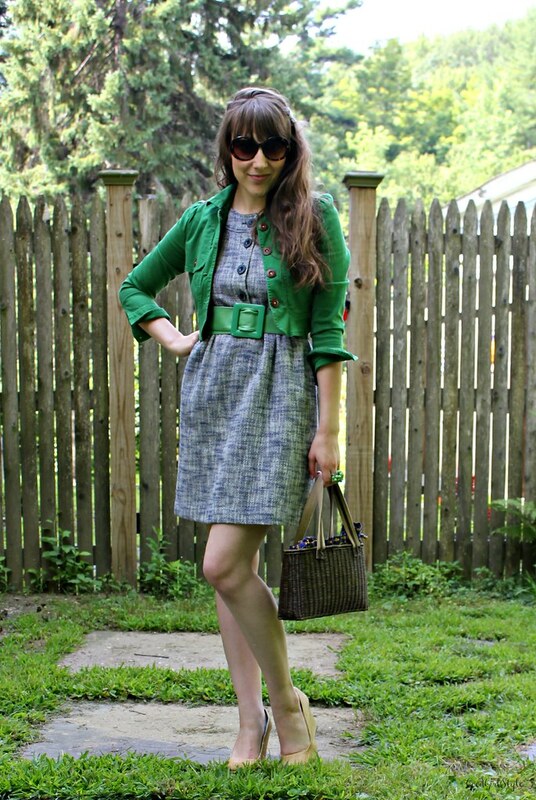 This outfit would transition well into fall...can't you see it with my knee-high blue suede boots? But since it's still summer, I'll keep wearing my summer faves: my basket-weave Blowfish Shoes wedges. Do you have a piece lingering in your closet that you aren't sure how to wear? Let me hear about it and maybe we can come up with some ideas for it!